The new trend in style is everything minimalist and matte. Modern times call for sleeker designs, and it does not stop at fashion. Party themes have become much the same, and that means that you need on-theme party favors for all your events. Gone are the days of silly sunglasses and plastic whistles. Dollar store stops have become unnecessary with the rise of convenient and affordable favors that look better and leave a bigger impression. You might not think that temporary tattoos wouldn’t be any cooler than the rest of what you can find on the shelves, but they can be with matte finishes and a ton of different styles. Matte tattoos are temporary tats like any other, but they are ultra-realistic in a way that the ones you get out of machines can’t measure up to. What is “matte?” The word refers to the finish of the color. Instead of being glossy or sparkly, matte colors are flat and mimic the look of real ink. The only other thing that even comes close is henna, and it’s hard to wash off. Our tattoos are entirely unique and a step ahead of the rest. We use a safe patented gel color to achieve the look, and that bumps up the style factor exponentially! Who Are Matte Tattoos Appropriate For? Sweet 16 parties: Your child can feel grown up without permanently adding something to their skin! College parties: Older kids and young adults can test out which styles they want for actual tattoos without all the commitment, and they can fool their friends into thinking that the temporary tats are real! Corporate parties: You can throw the dress code out of the window for the night and bring out your wild side! Any age appropriate party will have fun testing the matte tattoos out. Matte tattoos have several benefits and add to the fun of every party. First off, the tattoos are more stylish instead of looking tacky. They fit modern themes to go with the trends. They look real without staining your skin like henna dye will, too! You can add them to the look of your Halloween costume and rest assured that they will wash off before you have to work the next morning; that’s a relief! If for no other reason, they are fun tools for pranking people. 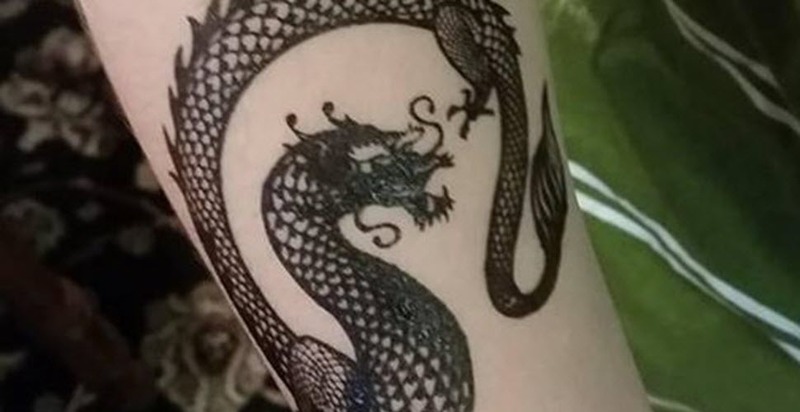 You could fool your spouse into thinking you got a dragon tattoo on your face! When they are properly horrified, you can easily wash it all off. No harm, no foul, right? Why Buy Matte Tattoos from Creative Event Services? That is only a fraction of what we can do, too! Whatever the occasion, we have you covered. C.E.S. comes out with new products and services all the time! No matter how many times you book us or use our party favors, you will always find something new to add. We care about our customers and the happiness of their guests more than a store clerk could, and we guarantee that you’ll love us so much that you will want to come back again! If you are anywhere near the Boston, Hartford, or New York areas, we are conveniently close and can be there quickly. Creative Event Services also has several social media platforms in which to follow and interact with us. We are on Facebook, Twitter, and Instagram! Contact us with any questions, and we will do our best to help fit your needs every time. Make your party the talk of the office and call us today!